bodyweight, are deadly even in single hits. Has a long range that is taken advantage of in its moveset. 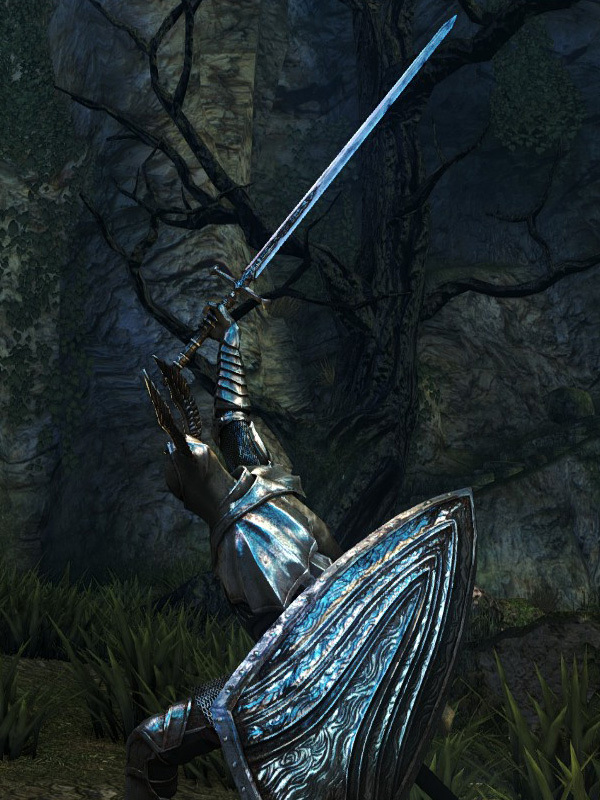 Generally outdamages other straight swords, up to 51 dexterity and 24 Strength. Two Handed R2 is a strong lunging diagonal slash followed by a second one from the opposite side. 8% STR, 52% DEX scaling.